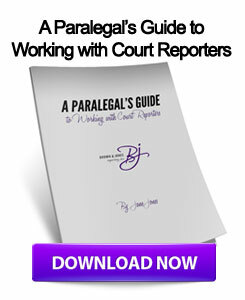 Court Reporters – Take Care Of Your Livelihood! During the lifetime of a computer, files will be downloaded, programs will be installed, web pages will be browsed and things will be deleted. These temporary files can take up quite a bit of hard drive space if not managed properly. Disk cleanup is a centralized tool that will allow you to delete multiple unnecessary files with one easy step. Go to Start, Programs, Accessories, System Tools and click on Disk Cleanup. On this box, you have the ability to check the boxes of the folders you want to clean up as well as compress old files. PCs generate lots of heat for something so small. As the system becomes taxed with more and more, the system has to run harder to keep up. As it runs harder, it also produces more heat. It is possible that it can overheat, although most systems have a safety trigger to shut down before this happens. Fans are built into the case to keep your system from overheating and shutting down. When fans are being blocked, proper air flow through the case is hindered. If this happens, other fans will have to compensate if they can. If not, your system could shut down while in the middle of something. Keep a good few inches of space around the case of the computer to aid the fans in doing their job. As the fans pull air through the case, they carry anything in the air with them. Dust, hair, debris – anything light enough to get sucked through the grate will cover the inside of your computer. All the large items will get trapped on the outside of the fan. This blockage makes keeping your PC cool a challenge. Cleaning off the outside of the fan vents is very easy to do. While your system is off (so nothing gets caught in the fan blades), use a brush to sweep away any material building up on the outside of the case. Canned air can work, but you risk spraying moisture inside of the computer and that may burn out your motherboard. If your case is fairly dirty, it may not be a bad idea to contact the Help Desk to check on the inside of the unit. For those with laptops, many models have fans on the bottom of the unit. If this is blocked, they are more susceptible to overheating. A flat surface that does not conduct heat is ideal for laptops (unfortunately your lap is not included in this list). Also, there may be vents on the outside of the laptop to allow hot air to escape. Blocking these vents prevent this from happening – keep these clear. Following these steps will help your system to run at peak performance during the PCs lifetime, but eventually you will notice system slowdowns. If you experience severe system lag, I.T. can do a full system restore for you. During this procedure, we will backup your data and do a full reinstallation of software for you. Sometimes this is the only way to get your PC running as smooth as day one. Just know that this is a lengthy procedure and may take a full work day to complete. Depending on many factors (data backup time, special software installation and data restore) we could have a turnaround of less than a few hours. This entry was posted on Thursday, March 22nd, 2012 at 11:40 pm	and is filed under All Posts, Court Reporting. You can follow any responses to this entry through the RSS 2.0 feed. You can skip to the end and leave a response. Pinging is currently not allowed.